To setup Windows 8 on a USB drive with command prompt, one can make a Windows 8 To Go USB flash drive just like in Windows To Go Center. 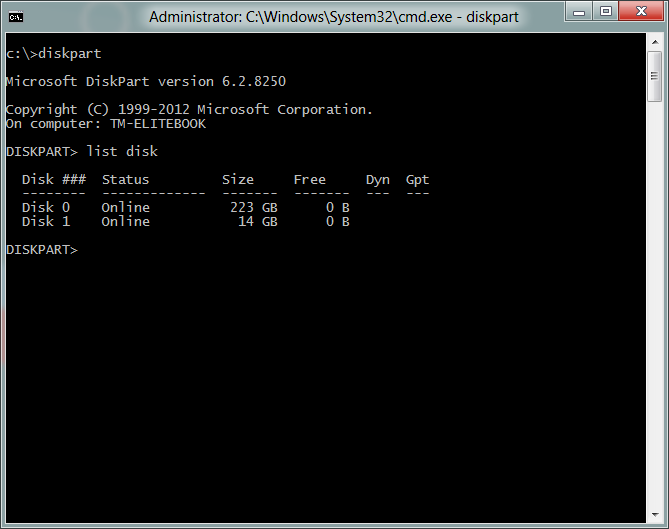 In this article, we will show you how to install Windows 8 on USB drive with command lines step by step. With the release of Windows 8 Enterprise edition, Microsoft presented the users a new function that allows them to use their own Window 8 on any devices just by installing it on a Windows 8 To Go USB flash drive. As for the Windows 8 To Go USB flash drive, it could be created in Windows 8 Enterprise edition built-in Windows To Go Creator Center, which also is the easiest and most convenient way. On the other hand, for Win7/8/2012 and Windows Server 2008 R2 users, they can still install Windows 8 on a USB drive by using the Command Prompt. This method is a little bit complicated comparing with Windows To Go Center. But it’ll be complicated no more after you reading the tutorials in this article. 1. The capacity should be at least 16 GB. Step1. The system drive in this example is C drive. While the external USB drive is E drive. The Windows 8 image is mounted to F drive. Step2. Use Win+R shortcut key to open the Run dialog box. After the windows pops up, enter “CMD” to launch the Command Prompt. 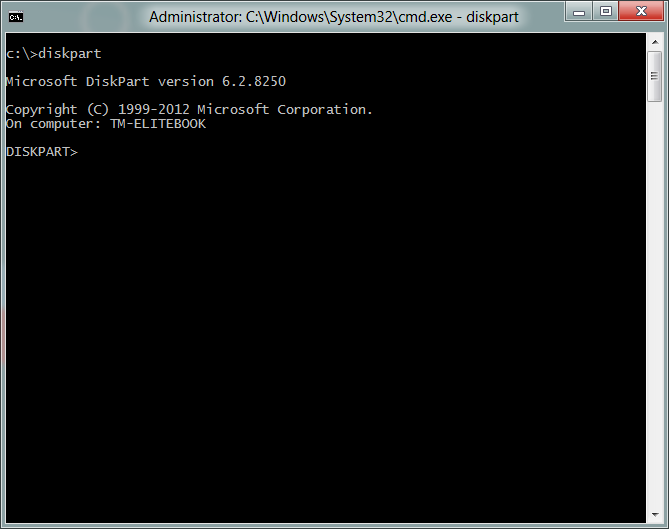 In CMD window, input “diskpart”. Step3. Input “disk list” and press Enter button, hence all drives of this computer will be listed like in the picture below. This time, Disk 1 is the destination USB drive for WTG. Step4. Enter the command lines in the picture below. 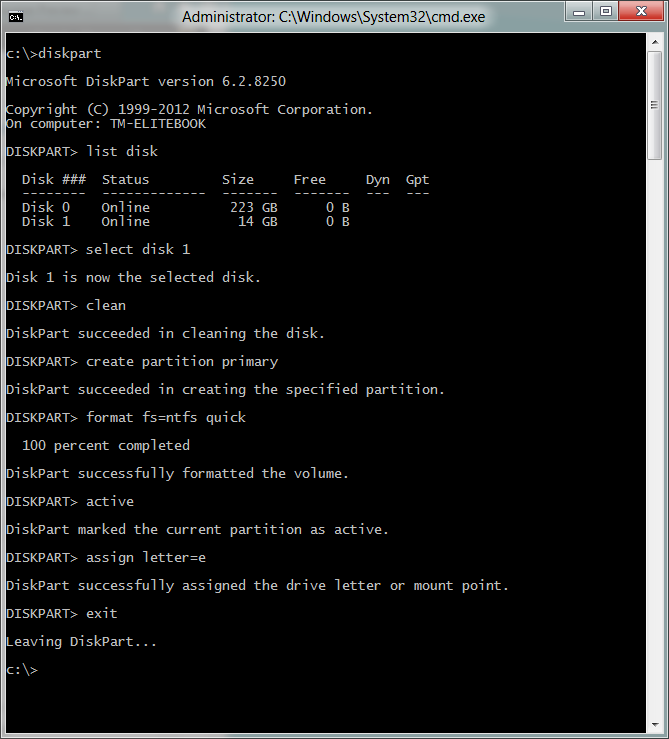 This will format the USB drive and activate the partition. When it’s done, go assign the drive letter as E drive. Step5. Open Dism.exe to extract the install.wim file from drive F and move it to E drive, this operation requires the command line below. Step6. Enter the command line ”bcdboot e:windows /s e: /f ALL” to make the USB flash drive bootable. 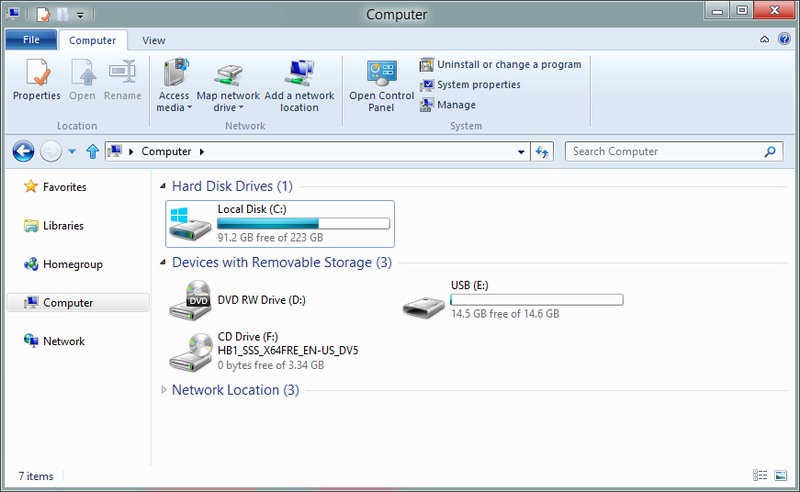 Now, the whole process of setup Windows 8 on a USB drive is over. You can take the USB drive anywhere to enjoy your Windows 8.